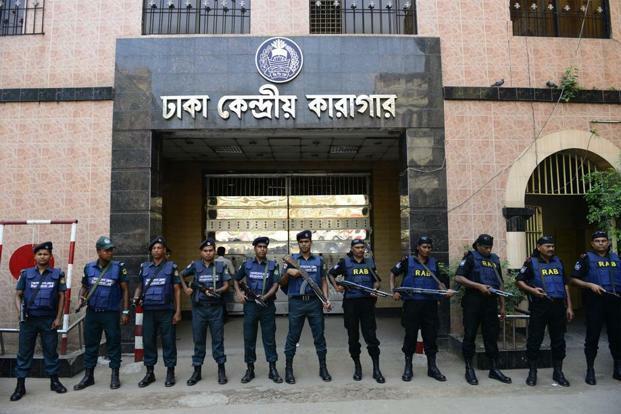 On Sunday (24/03/19) the Anti-Terrorism Tribunal in Dhaka, in a case filled in 2010, acquitted the former Chief Coordinator and Spokesperson of Hizb ut Tahrir / Wilayah Bangladesh, Professor Mohiuddin Ahmed along with four others, and sentenced Hizb ut Tahrir’s activists Saidur Rahman and Towhidul Alam for 2 years of imprisonment. With no evidence or witness against them all were supposed to be acquitted from this false case but due to the Government’s interference, the court delayed its verdict, the verdict was delayed 7 times, and finally sentenced two innocent activists of Hizb ut Tahrir. The Government is vainly trying to establish that the charge they filled against the party was true. We strongly condemn this unjust verdict and demand immediate release of the two unjustly convicted activists from all charges. In this trumped-up charge it is stated that, the police arrested them from outside Taqwa Mosque at Uttara sector 3 on 18 April 2010, while they were gathered for anti-government activities and “planning to attack on government important installations to spread terror among people” and anti-government leaflets along with a “crude bomb” were recovered from them! Sadly, some media have published this trumped-up charge and the order of the court as it is without any verification! It is well established that Hizb ut Tahrir is a non-violent political party with no link with any terror activity whatsoever. Hizb ut Tahrir has been doing activities to create public opinion against the decades long failed rule of the so-called democracy by the Awami-BNP ruling class and influence of the Kafir imperialists on our politics, economics and military, and for reestablishing the Khilafah Rashidah (rightly guided Caliphate) on the way of Prophethood and how this State will solve the problems arisen from the current capitalist-democracy and will free the nation from the influence of Kafir imperialists and regain the status of a leading state. Hizb ut Tahrir has always been very vocal with its field activities about USA-Britain-India’s plots against Bangladesh, and was particularly so against Hasina regime’s collaboration with India in the Pilkhana massacre 10 years ago; it was in this situation that the Hasina regime following the direction of her masters, the Kafir imperialists, banned Hizb ut Tahrir to stop its activities. And from then on, they have made fabricated charges against the party activists under the notorious black law – the so-called “Anti-Terror Act”. “And do not help one another in sin and aggression; and be careful of (your duty to) Allah; surely Allah is severe in punishing (evil)”. While even schoolchildren are aware that lie is a tool of the Hasina regime and this regime is a master in this sin and violation, nevertheless publishing news provided by this liar regime about its verdict and its circumstance without any verification is surely not desirable from you. Rather you will be accessory in her crimes because you, the people in the media, know very well that Hizb ut Tahrir is doing relentless intellectual and political struggle, in a non-violent way, to change this current tyrannical rule, and demanding from the sincere military officers to remove this current ruling class and to give nusrah (material support) to Hizb ut Tahrir to reestablish the Khilafah Rashidah on the way of Prophethood. O Journalists, when you claim that the media is the reflection of society, the demands of the society should be reflected on your news – that the people in this nation want to be rid of Hasina’s tyrannical rule. So, you should take your stance on the side of the people by presenting the news where the fallacy of this current so-called democratic system and the secular ruling class are exposed, and present to the people the justice of the rule under Islam and raise your voice against the government’s oppression on sincere advocates of this Deen, Al-Islam. Finally, we in Hizb ut Tahrir want to tell the tyrant Hasina that these malicious tactics of fabrications and plots might be an innovative approach for you but it will surely fail, because our Prophet ﷺ and His ﷺ movement faced similar propaganda from the Quraish ruling elites, but all their machinations came to nothing and the Islamic State was established at Medina. In the same way, by following the way of RasulAllah ﷺ, Hizb ut Tahrir will be able foil all these evil ploys and achieve the objective of reestablishing the Khilafah Rasidah (rightly guided Caliphate) on the way of Prophethood, insh’Allah.